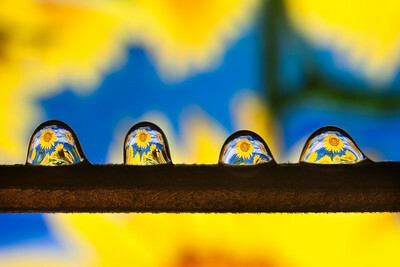 I have always been fascinated by the ability of a water droplet to act as a lens. 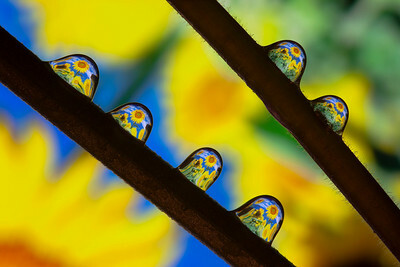 In this gallery, I take advantage of this feature and present to you a colorful collection of water drops. When I shot this picture, my goal was to capture the rosebush silhouette with a yellow background. To add some life to the composition I added a few water droplets.Do you like this photo? Get Your Print. 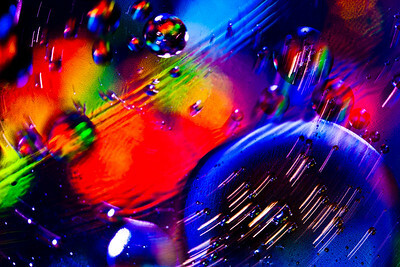 I have always loved colorful images, with intense details and the amazing shapes achieved by liquids. Combining them all, I got this photo. 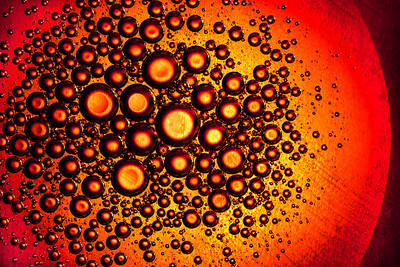 It may look complex and difficult to determine exactly what you are looking at, but in reality, this is not more than a few drops of cooking oil in a transparent tank full of water. Read my article "Creative Oil and Water Photography" for step-by-step instructions on how to create photos like this.Do you like this photo? Get Your Print or Download it as a wallpaper. Sunflowers are colorful, gorgeous plants; I really love their bright color on a sunny morning. I decided to recreate one of those fields using my camera in a very particular way.Do you like this photo? Get Your Print. I am sure that some of you would wonder how to create a photograph like. 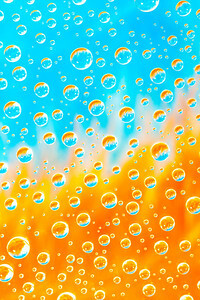 This is not a photo manipulation and if you look for "oil and water" photography abstracts, you will find some similar photos around the web. If you add a few drops of oil in a water tank, these drops will float and bubble on the surface. After that, you simply add a nice background and experiment. Do you like this photo? Get Your Print or Download it as a wallpaper. Sunflowers are striking and colorful plants, I love their bright color on a sunny morning. I decided just to recreate a sunflower field using my camera in a very particular way.Do you like this photo? Get Your Print. After many attempts, I finally caught the shot I was looking for. 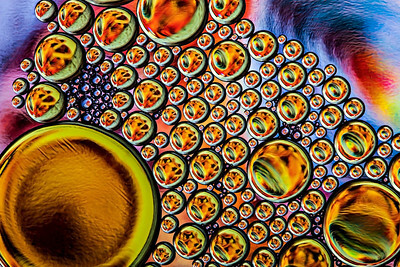 It can look like a band of planets spinning around the universe, but in reality, it is only a few drops of olive oil spinning on a transparent oven tray. 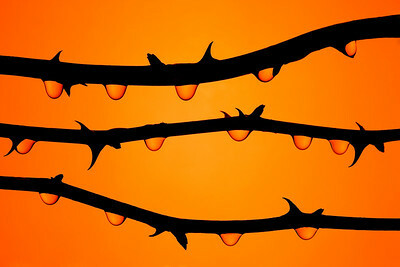 This is a true abstract image.Do you like this photo? Get Your Print or Download it as a wallpaper. I always had been a fan of roleplaying games, fantasy literature, and adventure films. I shot this picture as a small tribute to all the fantasy lovers.Do you like this photo? Get Your Print. Maybe the lower part of the background resembles a king of flames. 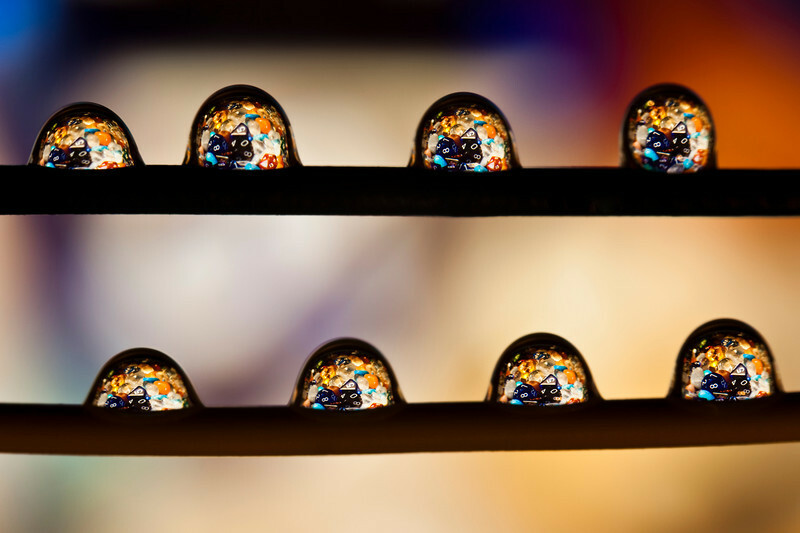 Maybe the reflection of the upper water bubbles look more like faces. Maybe the faces became angrier, more evil... when we look from the top to the bottom. Good boy, bad boy, how much is in the perception?Do you like this photo? Get Your Print or Get It as a Wallpaper. I always had been a fan of roleplaying games, fantasy literature, and adventure films. I shot this picture as a small tribute to all the fantasy lovers.